Together, Fastec Custom Ltd & Fastec Racing Ltd has been designing and manufacturing top quality parts for motorcycles of almost every make and model for the past 10 years. We have worked with many customers on parts for their own bikes along with MSS Performance & PBM in the BSB Series along with K-Tech Suspension, East Coast Racing in the Road Race Series, Minnovation Racing in the Classic Series & Metisse Motorcycles, and most recently Gladstone Motorcycles on the Custom side as well as So-Low Choppers. We specialize in custom parts which are engineered to provide unbeatable performance and have developed our range of products and services to become a one-stop shop for all of your motorcycle part needs. Whether we are working with race teams, supplying the parts that they need to succeed on the track, or machining custom parts for individual riders, we always aim to produce parts which combine exceptional quality with fantastic performance. We are proud to say that all our design & manufacturing is done here in the UK at our base in Newmarket, Suffolk and we work hard to ensure that we use as many local suppliers or craftsmen as possible and we are always open for clients to pop in, discuss design ideas or to see their parts being made for that personal touch. 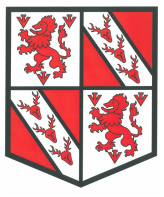 We've been in business for more than 20 years, screen print and embroidery digital print all in house, have our own premises in Buckingham, close to Milton Keynes, Bicester and Brackley, and employ a total of 13 staff and a raft of equipment. Our offer now includes clothing from over 40 manufacturers, school uniforms, sports kits, workwear, safety wear, embroidered badges, corporate gifts, and just about anything without wheels that can be branded! The company is still run by Trevor, and his son, John. Keeping the company as a family-run business is important to us as it allows us the freedom to deliver consistent customer service without the pressures of shareholders and other 'hangers-on'. 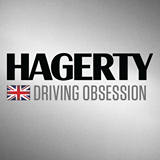 At Hagerty, our team of classic car and bike owners and enthusiasts are dedicated to continuing the development of specialist insurance. Not only are we extremely competitive, but our policy features provide essential benefits when insuring your classic. From our headquarters near the Silverstone Circuit in Northamptonshire, we can offer you comprehensive classic bike insurance products at highly competitive prices. When Dave Barringer bought his first Harley-Davidson, an Ironhead Sportster, in 1978 he knew he’d found the only bike that could satisfy him. Soon after he added an Evo 883 Sportster, closely followed by his first Buell. In May 2000 Dave set up Northants V-Twin in Northampton, word soon spread and the business has grown, with Harley enthusiasts from all over coming to buy bikes, spares, or just having a cup of tea, a biscuit and a chat about all things Harley and Buell. We are a reputable family run company offering professional and reliable services to our customers in Brackley and the surrounding areas. Our services wide range of services includes patios and paving; footings and drainage; septic tank; fencing; concrete and driveways and much more. At Brackley Groundworks we are dedicated to deliver the best service possible at competitive prices. Our work is covered by a 5 year guarantee to ensure your piece of mind. For more information please contact us on 07860558410.